Lockheed Martin Canada has confirmed its selection as combat systems integrator for the upgrade of the Chilean Navy's three ex-UK Royal Navy (RN) Type 23 frigates. Announcing the contract on 23 May, the company said the modernisation would be based around the introduction of the CMS 330 combat management system (CMS), alongside the introduction of a new surveillance/target indication and local area anti-air missile. Defence and security company Saab has signed a contract with the Swedish Defence Materiel Administration (FMV) for the modification and upgrading of the Swedish Marineâ€™s GÃ¤vle-class corvettes. The order value amounts to BSEK 1.249 and the work will be carried out during the period of 2017-2020. The contract states that Saab is to conduct a life extension of two corvettes, HMS GÃ¤vle and HMS Sundsvall, both of the GÃ¤vle-class. The contract also includes that Saab will conduct a general inspection after the ships have been in service for 72 months. Besides this, the contract also includes that the ships will be modernised with a new, advanced combat system. â€œWe have a long experience in building and maintaining corvettes in steel, aluminium and in composite. The ships have good operational capabilities, high availability, long service life, and low operating costs. With a new, advanced combat system, the ships will be modernised to meet the customerâ€™s demandsâ€�, says Gunnar Wieslander, Senior Vice President and Head of Business Area Kockums. The work will be conducted at Saab in Karlskrona and in JÃ¤rfÃ¤lla within the two Business Areas, Kockums and Surveillance. Corvettes are developed and optimised to operate in the waters surrounding Sweden. The corvettesâ€™ operational missions mostly include surface combat, Anti-Submarine Warfare and air defence. 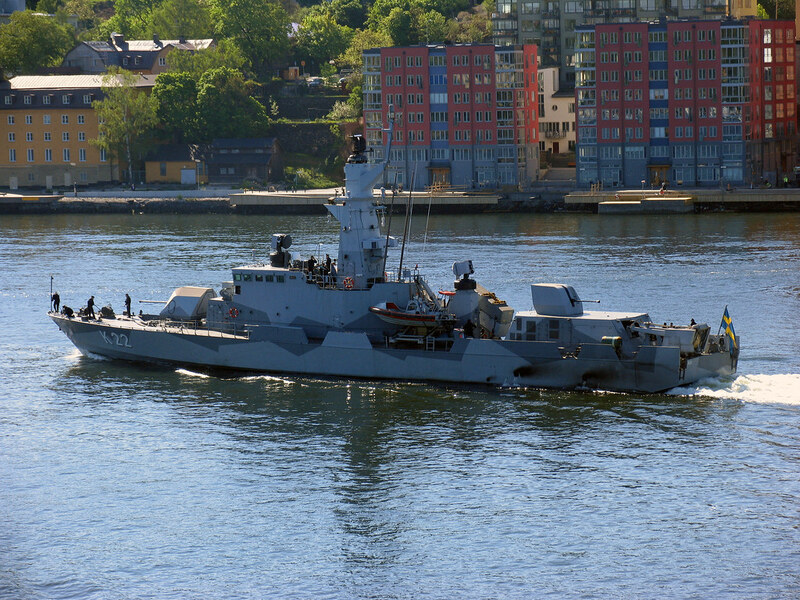 The shipyard in Karlskrona delivered four corvettes of the GÃ¶teborg-class between 1990 and 1993. By the end of the 1990s, two of them were upgraded, HMS GÃ¤vle and HMS Sundsvall, and this gave rise to the GÃ¤vle-class. Saab serves the global market with world-leading products, services and solutions within military defence and civil security. Saab has operations and employees on all continents around the world. Through innovative, collaborative and pragmatic thinking, Saab develops, adopts and improves new technology to meet customersâ€™ changing needs. The combat management system (CMS) currently installed on the Turkish Navy's Barbaros-class frigates is to be replaced with a locally-developed system from companies Aselsan and HAVELSAN. The two companies will provide the B-SYS (Barbaros SavaÅŸ YÃ¶netim Sistemi) CMS to replace the existing Thales Nederland TACTICOS CMS. The Chilean Navy is to upgrade the bow-mounted medium frequency sonar fitted to its three ex-UK Royal Navy (RN) Type 23 frigates to the Sonar 2150 standard as part of a wider modernisation programme, military sources in Santiago have told Jane's. Chile will also buy a third Sonar 2087 active/passive variable depth low frequency towed sonar, allowing all three Type 23s to receive the system. Almirante Cochrane (ex-HMS Norfolk ), Almirante Condell (ex-HMS Marlborough ), and Almirante Lynch (ex-HMS Grafton ) were recommissioned into the Chilean Navy between November 2006 and May 2008 following their acquisition from the United Kingdom. ANKARA, Turkey â€” A local consortium of two big-scale Turkish defense companies will upgrade the navyâ€™s Barbaros-class frigates, the companies announced. 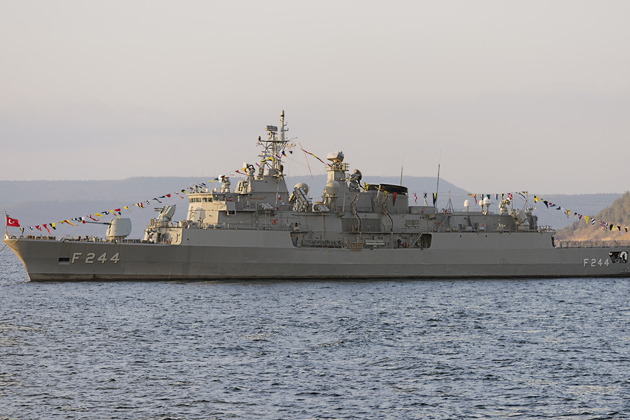 Military electronics specialist Aselsan, Turkeyâ€™s biggest defense company, and military software concern Havelsan will perform half life-cycle full modernization work on the frigates. Both companies are state controlled. Aselsan said in a statement it sent to the Istanbul Stock Exchange that its share of the work was worth â‚¬175 million plus TL 457 million (approximately $115 million). Havelsan did not disclose its share of the work. Aselsan said the modernization work would be completed by 2025. The Turkish Navy operates four Barbaros-class multipurpose frigates. Two warships were built by the Blohm + Voss shipyard in Hamburg, Germany, and the remaining two were constructed by the Golcuk Naval Shipyard in Turkey with German technological know-how. The keel for the first ship in class, TCG Barbaros (F-244), was laid in April 1992. The vessel was launched in September 1993 and entered service in March 1995. TCG Orucreis (F-245) was laid in July 1992, launched in July 1994 and entered service in May 1996. TCG Salihreis (F-246) was laid in March 1995, launched in September 1997 and entered service in December 1998. 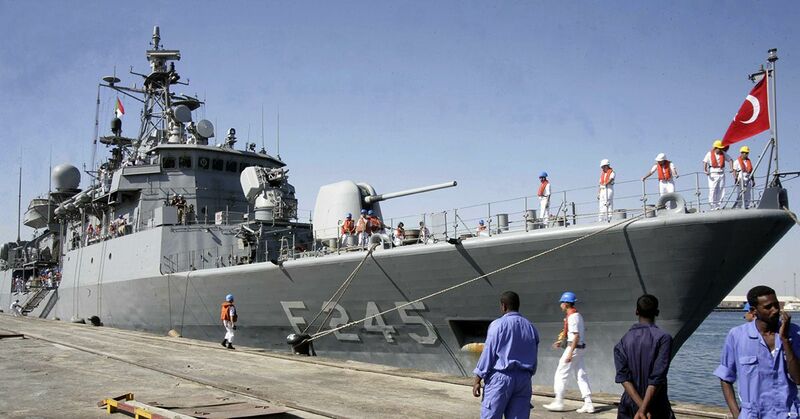 Turkey laid the last ship in the Barbaros class, TCG Kemalreis (F-247), in December 1996 and launched in July 1998. It entered service in June 2000. Barbaros-class frigates feature anti surface warfare (ASuW), anti-submarine warfare (ASW) and anti-aircraft warfare (AAW) capabilities. Saab is pleased to announce that the renowned HSwMS Gotland is relaunched and ready to start her sea trials after a mid-life upgrade. Please join the digital event of the relaunch ceremony on 20 June. Submarines are designed to operate for decades in challenging environments whilst remaining adaptable to the tide of technology and future threats. 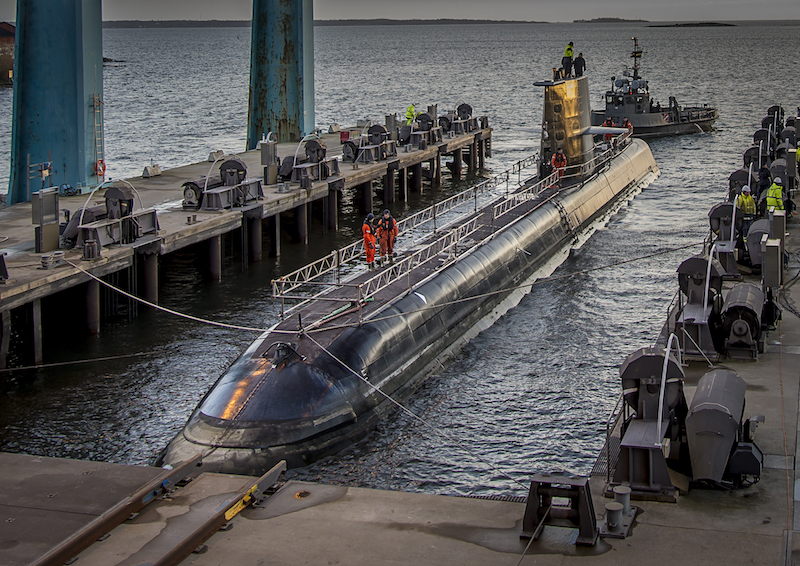 To keep them cutting-edge of technology, Swedenâ€™s Gotland-class submarines have received regular overhauls and upgrades along their operational life. â€œThe relaunch of Gotland is an important milestone in the evolutionary development of the Swedish submarines. After a comprehensive upgrade, integrating the latest generation of important systems such as the Stirling Engine, modern sensors and new management functions, Gotland is almost a new submarine, ready to take on missions around the worldâ€�, says Gunnar Wieslander, Senior Vice President, head of business area Kockums at Saab. The relaunch ceremony will take place in Karlskrona on June 20. Please visit saab.com/submarineevolution for interviews, images and infographics regarding the relaunch. The site will be made available as from 11.00 on June 20. Firing tests with Ã‡afrad, a multi-functional phased-array radar built indigenously by Turkish firm Aselsan, were carried out successfully in late December the company has stated. Ã‡afrad was tested on board the frigate TCG GÃ¶ksu (F 497), where it was integrated with a Raytheon Standard Missile-2 (SM-2) area air-defence missile system. In producing Ã‡afrad, Turkey has become one of the few countries capable of producing state-of-the-art radar, the Turkish Defence Industries Presidency (SSB) tweeted on 17 December. The system combines an indigenous design with the latest advances in radar technology, including fully solid-state transmit/receive modules, digital signal processing, pulse compression, multiple target tracking, electronic beam stabilisation, and advanced electronic counter-counter measures, according to a press release posted on the Aselsan website. On 8th April 2019, Defence Minister Jussi Niinistö decided the Finnish Defence Forces' Logistics Command will remain prepared for concluding the contract on the combat system for Pohjanmaa-class vessels with only one tenderer, Saab AB, Sweden, which performed best in the comparison of the quotations. The decision means that from now on there will be only one tenderer and that Atlas Elektronik and Lockheed Martin Canada no longer participate in the competitive tendering process. The government to be appointed after the parliamentary elections will make the actual procurement decision. The initial intention was to make the procurement decision on the combat system in connection with a shipbuilding contract in 2018, but since the tendering process concerning the shipbuilding contract has taken longer than expected, it has not been possible to proceed as planned. Following the resignation of the Government, the procurement decision concerning the combat system can be made at the earliest after the new government has been appointed. Because of the additional delay, the Ministry of Defence considered that the decision to continue the tendering process with the tenderer that performed best in the tendering process is a fair and equitable way to continue the procurement process, because the tenderers have submitted their final quotations and their comparison has been completed. The aim is to reduce risks caused by extended tender periods and cost impacts for the tenderers and the defence administration. The combat system to be delivered for Pohjanmaa-class vessels will consist of weapons, sensors, and command and control systems and their integration into vessels. The preliminary invitation to tender was sent in summer 2017 to three supplier candidates - Atlas Elektronik GmbH in Germany, Lockheed Martin Canada Inc in Canada and Saab AB in Sweden. The competitive tendering, which was carried out as a consultation process, reached its final phase in 2018. All three companies were sent a request for a quotation in October 2018, after which the received quotations were evaluated and contract negotiations were conducted.